Omari Kirk’s been tattooing since his early teens, but he only figured out his love for hand-poked tattoos about a year and a half ago. Since then, he’s dived head-first into the art form, dropping out of high school and travelling all over America to ink the bodies of friends and strangers alike. He considers hand-pokes a form of escape from a world full of white noise, and the practice of tattooing a teacher of patience. He handles his words as carefully as he handles a needle, making for an interview that feels like a snapshot of hand-poked-ink culture. Find more of his work & get in touch here. So, can you start off with telling me a little bit about yourself? Who you are, how you started tattooing, etc? My name is Omari Kirk and I live in St. Paul, Minnesota, currently. I've always been infatuated by tattooing as an art form but never really thought I was good enough to do it myself. When I was like 14 or 15 I bought one of those cheap amazon tattoo kits and practiced on my legs up until the point where I realized I was kinda terrible at it. Then, in September of 2017, I tried doing hand-poked tattoos instead and kinda fell in love with the process, because I was super heavily into pointillism at the time. 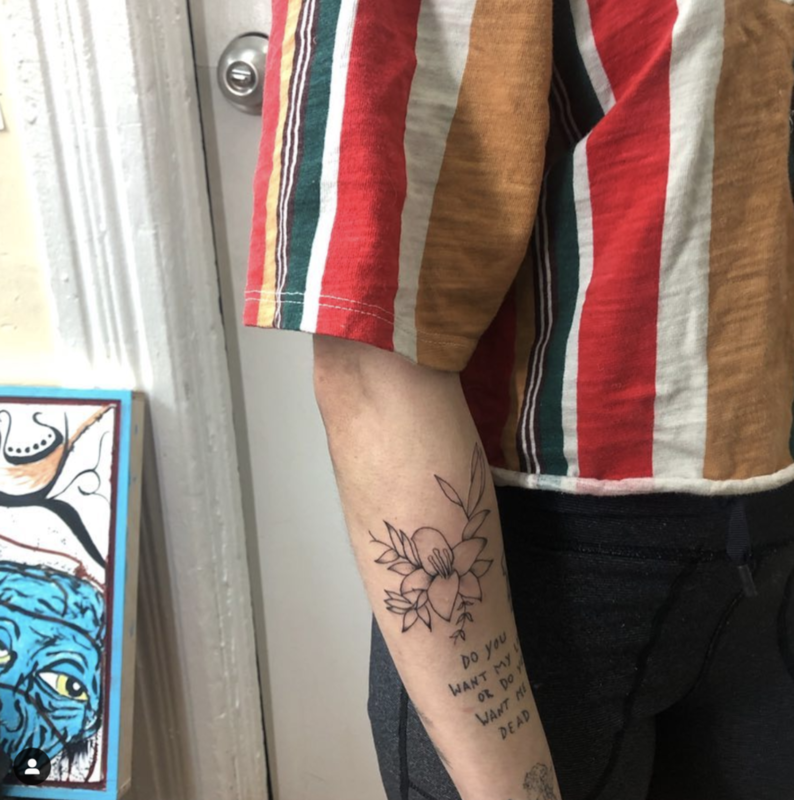 Eventually I gave my friend a hand-poked tattoo and he put it on his social media, and then from there it just spread like wildfire. Woah, so you just sort of stumbled across this talent? That’s amazing. 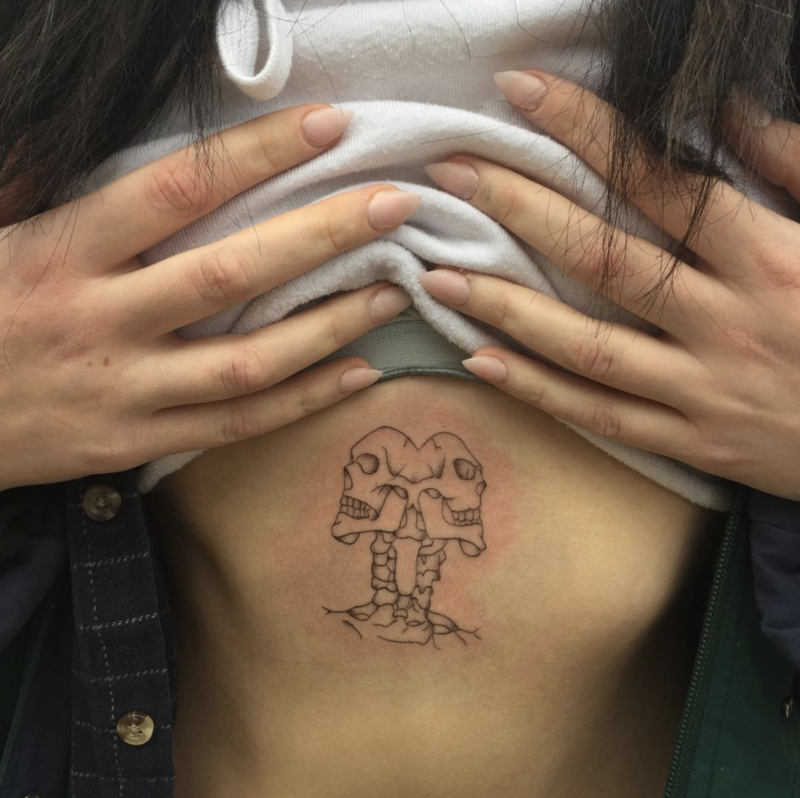 What about pointillism and stick-and-poke initially drew you in? Yeah, I kinda did stumble across it. I think the idea of a bunch of little dots making up an image is so compelling to me. It's kinda like a form of the butterfly effect on a smaller scale. Each individual dot or poke has its own importance and plays a significant role in something bigger. 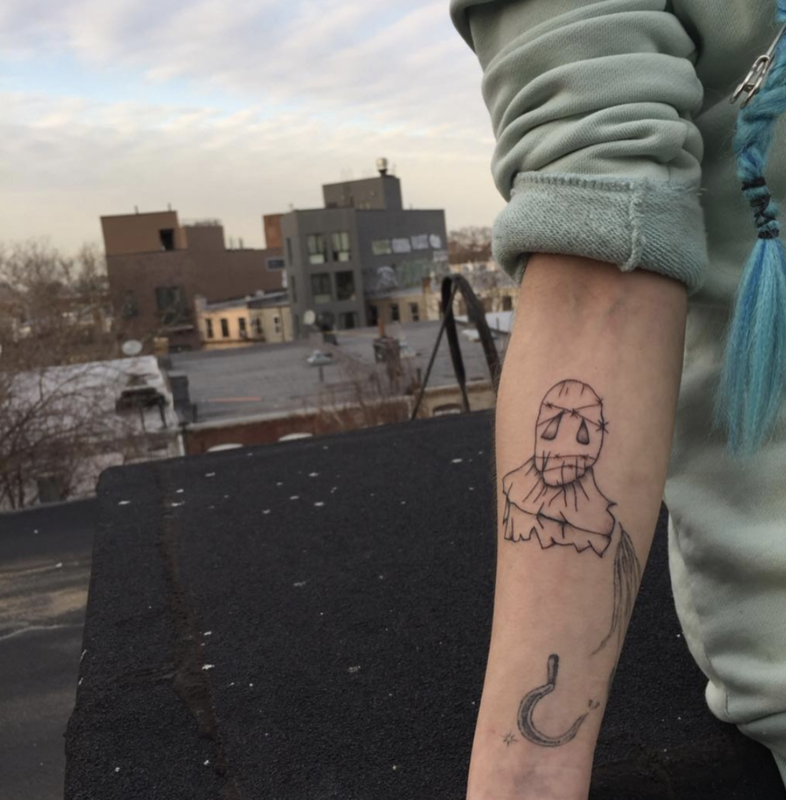 Also, stick n poke is a much slower process (opposed to machine tattooing) and its been helping me procure a lot of patience overtime, which I find to be very important in a world that never stops turning. I’d never really been a patient person up until I found hand-poked tattooing. How would you classify your style of designs? Where do you draw inspiration for the tattoos themselves? I wouldn’t really know how to classify my design style, and finding inspiration for tattoos is actually the biggest hindrance for me, cause I’m super picky and particular about how I want my work to look. What do you think sets you apart from other artists out there? Why should people come to you? 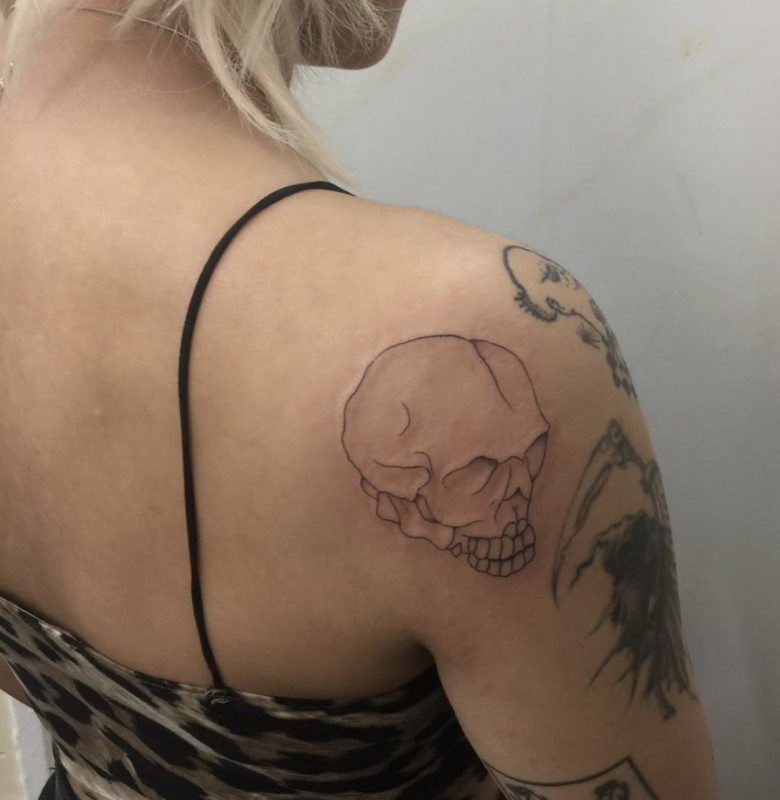 Well, I live in St. Paul Minnesota and here, hand-poked/self-taught tattoo culture isn't all that popular yet and there aren't many people who take the practice as seriously as I do, so that gives me a bit of an advantage. Plus, people say that my tattoos are gentle and practically painless, so I suppose that’s another reason. Also, I find going to a shop/parlor can be a very discomforting experience, especially when compared to just dropping in at someone’s humble abode. My works cheaper, and in most cases, more unique. There are people who are just looking to get tattooed, and then there are people who are looking to specifically get tattooed by me and want my art on their skin. 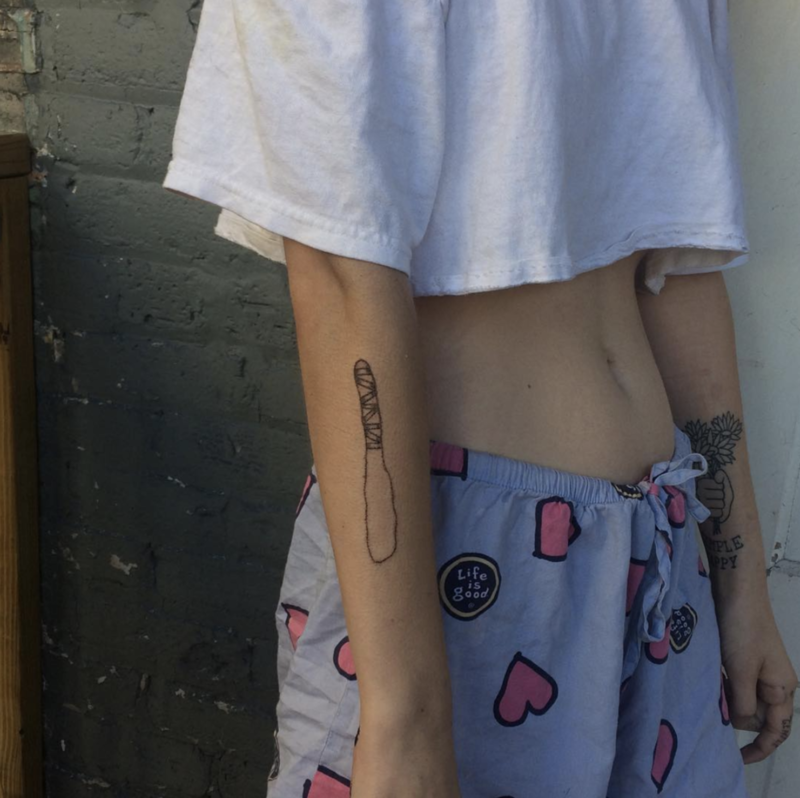 Idk, I think people who are looking to just get tattooed and want a more “Pinterest-y” looking tattoo should probably go to a parlor instead. I’ve seen that you travel around a lot too! Is that for tattooing, or just because? I wouldn't say a lot, but I do it when I can afford it! Usually, it’s to do a tattoo or two to get my name out there a bit more, and also just to get away from home. Next month I'm going to New York specifically to tattoo! That’s amazing! Would that be your dream? To travel around just doing this? Depict to me your ideal future. I think my ideal future would just be to get away from here and live off of something other than tattooing, like making clothes, music or drawing. I want to have the time to enjoy creating again in a place that genuinely feel comfortable. I love that - a lot of people don’t have that as a priority, I think; being able to create in a place you feel comfortable in. Why do you think some people don’t value that so much ? Why is it so important to you? I think a lot of people feel that way in a sense, but comfort can be hard to find at times and it isn't always in a place. I think it's important to me because my whole life I've always felt uncomfortable and misplaced. Like, something has always been missing for me. How does creating help fix that missing piece? I wouldn't say creating helps fix that so much, but it kinda distracts me from it, ‘cause when I'm tattooing or making music, I'm not concerned with what I don't have anymore. I think everyone needs that. To stop craving for once, and to embrace whats already there. I'm always trying to fill an ever-growing void, except for when I enjoy what I'm doing. In that moment I feel almost satisfied, like I don't really need anything else. Especially when doing hand-pokes (considering it takes so long). The world around me is constantly moving so fast and when I'm tattooing, I have no choice but to stay still and let go of every thought rushing through my head. Everything that concerns me. Everything that upsets me. Everything that scares me. Because in reality, those are just temporary notions that I don’t really need to hold on to. For me, tattooing is like another language. And I'm not a perfect English speaker, so why would I expect to be completely fluent at tattooing? It’s not something I ever want to be perfect at. It's something I want to communicate with people through. Did you ever expect tattooing to have such a big impact on you and your life as it does now? I had no clue tattooing would make such a big impact on me and my life. When I first started, I was doing $15-$25 tattoos just so I could buy weed and other drugs on the weekends, and then eventually it started becoming my main focus. When I felt I couldn't balance school and tattooing, I dropped out of high school and made tattooing my life. Now it's all I really care for.